I should have posted this last fall but here goes. Something to watch for when inspecting your rig, specifically the Mirage 33\35 from the 80's, possibly others if they use similar mast configuration. 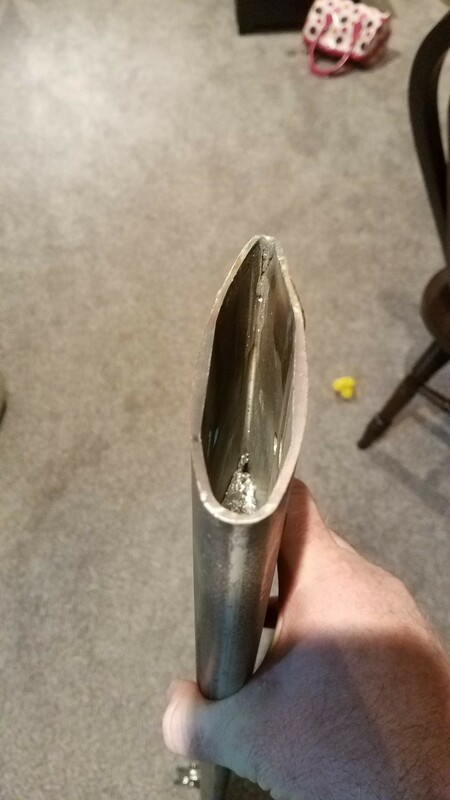 After I pulled the stick in the fall I was taking my standing rigging off for inspection and I noticed on BOTH spreaders the trailing edges were cracking\split. The crack started at the base (closest to the mast) and went up almost 1.5-2inches. The boat has not beeng abused and these were not new, they have been travelling for a few years now (noted by the slight corrosion) which leads me to believe it's a failure spot in the design as opposed to a one off from a storm or a bad rig tune. I can do alot of things but welding thin aluminum is not my game so I brought them to a machine shop. 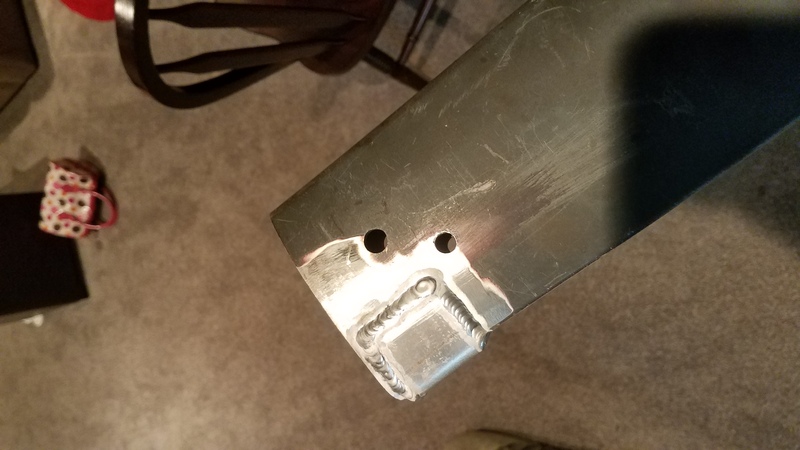 I worked with them for a decent fix and the best way was to stop drill the cracks, then fold over a piece of aluminum and tig weld it in place. This will beef up the trailing edge, stop the crack from re-appearing, and once I paint them you won't even notice the patch from the deck. 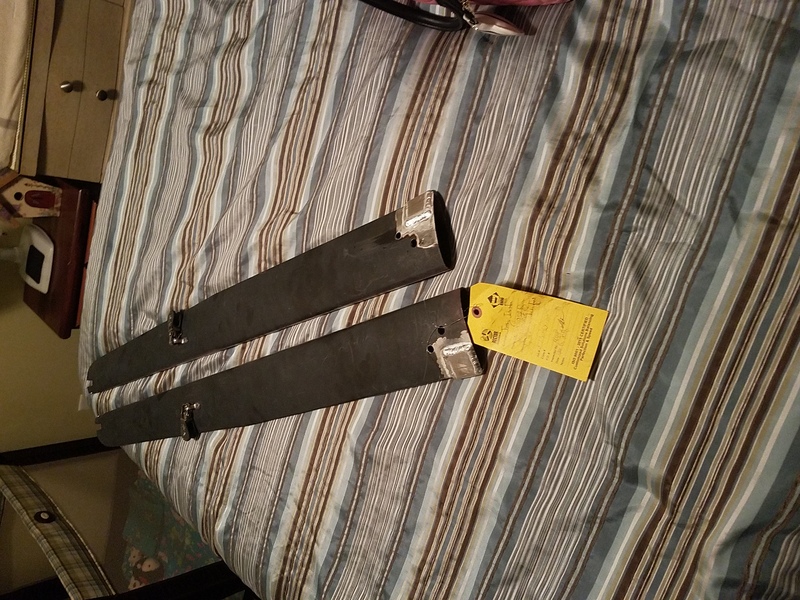 Just a heads up for anyone with a mirage of any vintage or size that has an isomat mast with the flat "wing" style spreaders. If in a good gust or tack the spreader(s) would have snapped backwards or collapsed due to the crack it may have been...real bad. Pics attached, I totally forgot to snap pics of the cracks before the fix was applied, but it's not hard to see if you have them.